I am not sure how many people read my blog. But those who do have been kind enough to share with me new recipes that they come across. 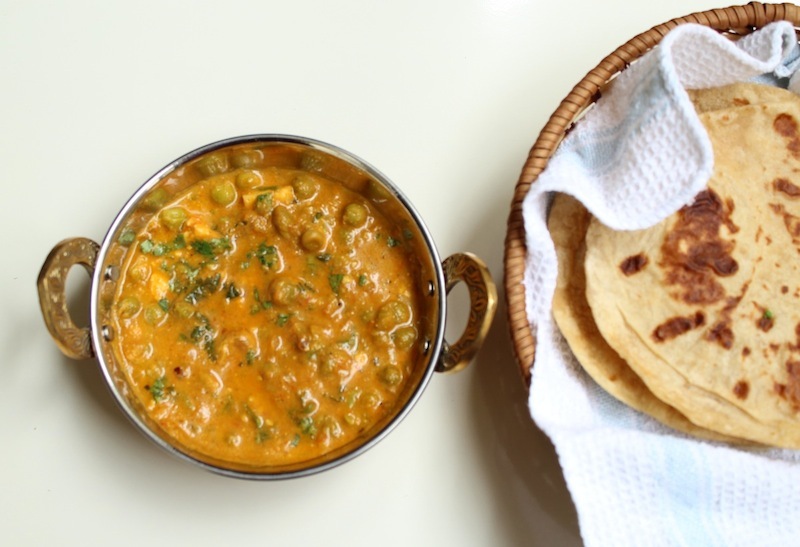 An aunt of mine recently shared with me a recipe for Mutter Paneer. I am sure most of us have some version of this recipe. This particular recipe i received included carrots. I was intrigued..so i tested it immediately and i was quite pleased with the results. It is a good way to sneak in vegetables into your kids’ meals without them realizing. Soak cashew nuts and poppy seeds in very little warm water for 5-10 minutes. Make a fine puree of the carrot, ginger, garlic, cardamom, cloves, cinnamon, cashew nuts and poppy seeds. Fry the onions till it has evenly browned. Add this to the onion mixture and saute well for 2-3 minutes. Now add the pureed tomatoes, the dry powders and salt. Cook it till the oil separates out. Now add the boiled peas, cottage cheese and one cup of water and boil well.